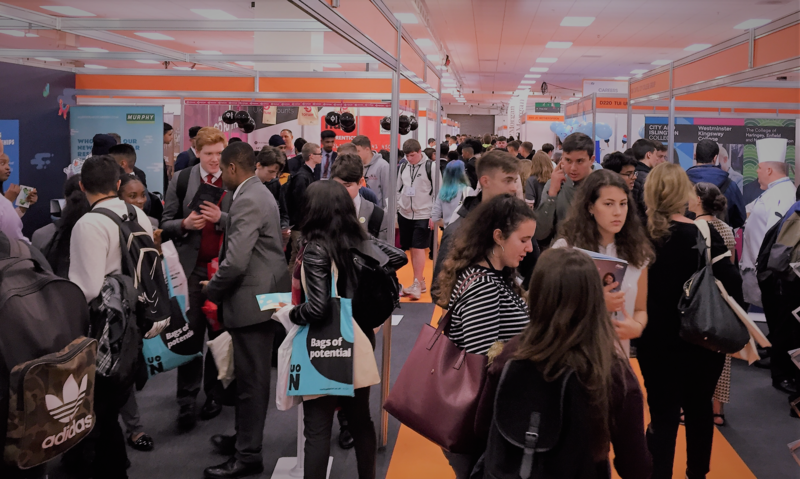 On Friday 12 October a number of Year 12 (Lower Sixth) students attended What Career Live, a careers fair at Olympia London. Despite the early start, students were in high spirits and launched into the fair with great enthusiasm and a typically inquisitive nature. They spoke with a vast array of employers and representatives from universities, enjoying the relaxed conversations. All the students were hugely positive about the event and headed into the weekend inspired and driven towards career pathways. Also this week, a number of Year 13 (Upper Sixth) students interested in careers in the arts and creative media attended the Create Your Future exhibition, at the ExCel in London. Students explored the possibilities and opportunities presented by courses in the creative media and gained information about portfolio requirements and application procedures. The exhibition gave students the unique opportunity to talk to representatives from over one hundred universities and art colleges under one roof. Later this month, Years 12 and 13 students who are studying A-level 3D Design will attend a day of illustrated lectures on product design in London.